How long does it take to realize your HVAC isn’t working? Often times, it’s when personnel realizes it’s getting too hot or cold, which may be hours after the system actually stopped working. 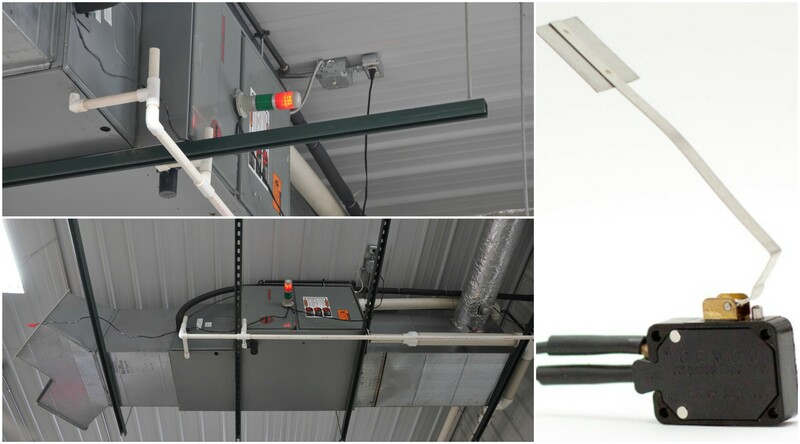 However, this HVAC stack light solution can now let you know immediately if air is flowing or not. According to the article Heating and Cooling Troubleshooting, the first and most logical step to recognizing your HVAC system is having issues is to check if the system is running. This is often times easier said then done. The HVAC can be located in out of reach places making it difficult to truly tell if air is flowing or not. 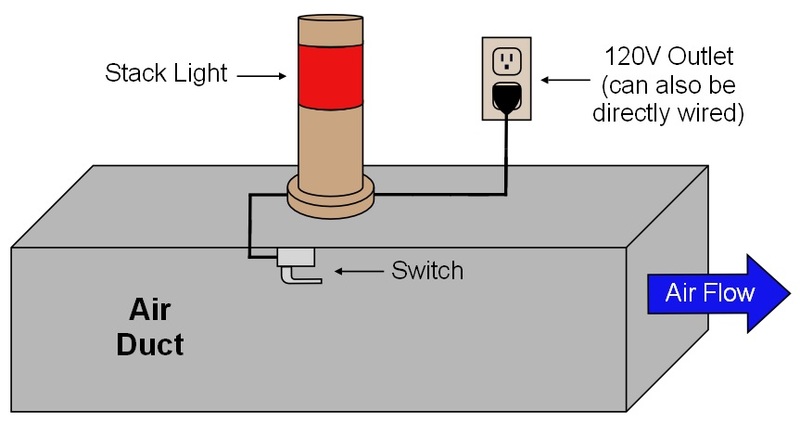 But by placing a stack light in a visible area and pairing it with an air sensing switch, you can know immediately whether air is moving or not. There are many reasons an HVAC system stops blowing air. The article Furnace Not Blowing Air? lays out many troubleshooting steps, some that can be done by anyone and some that require an HVAC technician. But it’s always best to catch issues sooner rather than later. Switching out a dirty filter is much more cost effective than running the system all day with minimal temperature impact. So why not use a simple, external HVAC Stack Light to ensure you are always in the know? This simple, affordable solution can make your life easier. No complicated setup or expensive technicians need be involved. The stack light can even have magnets added to the base so it can be placed anywhere for clear visibility. The end result gives peace of mind and simple notification for your HVAC system. If you have any questions or would like to learn more, feel free to contact us. We’d be happy to help you explore solutions and find the right fit for your application. If you can think of a different use for this kind of stack light setup, there are many other styles of JMP switches available to fit your situation. We also have stack light monitors for sensing pressure in a system, feel free to view them here. You’ll notice there’s even a texting and emailing device listed which could actually be retrofitted to use with sensing HVAC air flow. Receive a text, email, or report showing when your HVAC was and wasn’t running. Please reach out to us if interested, as we always enjoy working with others to find solutions for their unique applications.